Photo by Ed Felker, dispatchesfromthepotomac.wordpress.com. The Potomac River is home to dozens of species of fish — from largemouth bass to migratory shad. Fish can be thought of as "indicator species" for the overall health of the river because they are impacted by a host of environmental factors. If there's pollution in the water, they're coming in contact with it. An abundance and variety of fish in a river is often a sign of good water quality. Though several of the Potomac's fish populations are making a comeback, they aren't in the clear yet. 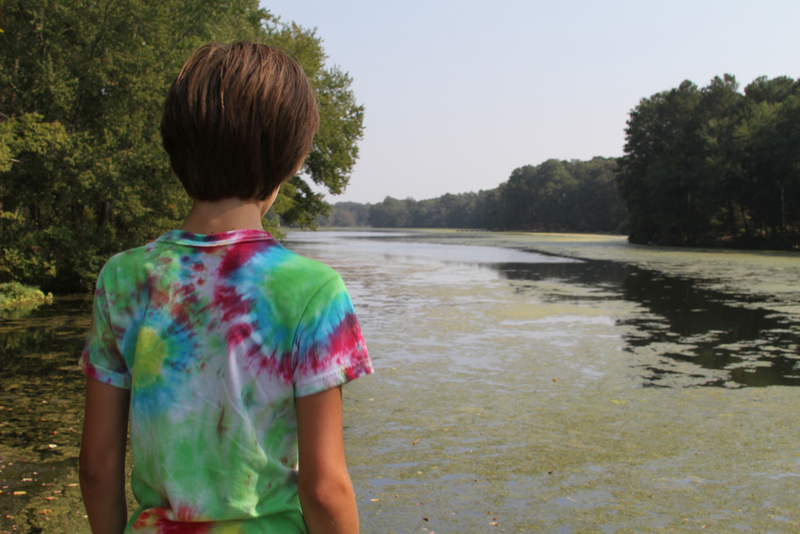 The amount of polluted runoff entering our river continues to grow at an alarming rate and is in fact the fastest growing source of pollution to the Potomac and Chesapeake Bay. Pollution isn't the only thing threatening our local fish. Some of the threats might surprise you. Effects: When we think "nutrients," we generally think of substances that are beneficial to our health. But as the age old adage goes, too much of a good thing can make you sick. An abundance of nutrients (specifically nitrogen and phosphorus) in the water causes harmful algae blooms, which lead to oxygen-deprived areas where aquatic plants and animals struggle to survive. Algae blooms reduce healthy food sources for fish, including the diversity and total number of macroinvertebrates. Effects: Murky waters limit the growth of underwater vegetation, which is important habitat, food, and cover for fish. Sediment on river and streambeds can further alter and destroy habitat for fish and bottom dwellers. Sediment pollution in spring and early summer can also inhibit spawning. Effects: As rainwater or snow melt flows over paved and impervious surfaces (roadways, roofs, sidewalks, etc.) and into our local streams it collects oil, pesticides, trash, animal waste, and other harmful substances along the way. For fish, these toxins can lower growth, hatching, and respiration rates, as well as decrease the survival rates of the young. Some chemicals may even cause lesions, which can lead to bacterial infections and destroy sensitive populations. Endocrine Disrupting Chemicals (EDCs) have affected the smallmouth bass population in the Potomac, causing 80-100 percent of the male population to have eggs, as if they were female. These intersex fish have lower sperm counts, which harms reproductive health. Effects: Although they've been banned, chemical traces of polychlorinated biphenyls (PCBs) still linger in the environment to this day. This can cause some fish, like Rockfish in DC waters, to be too toxic for human consumption. Effects: One of the results of a warming climate is an increase in the temperature of our waters. Warmer waters limit hospitable environments for many species of cold-water fish, such as trout (pictured above), that require low temperatures to live, and even lower temperatures for reproduction. Effects: Blue catfish, which are native to the Mississippi, Missouri, and Ohio River basins, are one of the most threatening invasive species in the Potomac River. They were first introduced to the neighboring James, Rappahannock, and York rivers during the 1960s-80s. These invasive catfish can live for 30 years and grow up to 100 pounds. They make it harder for native species to compete for food and other resources, and have been known to prey on native fish and shellfish. Other invasive fish can even carry disease, such is the case of the invasive northern snakehead, which was recently spotted above Great Falls. Effects: Though bacteria and parasites are natural parts of our ecosystem, pollution, warming waters, and other factors can make fish more susceptible to infection and disease. Some diseases can be brought into waterways by invasive species. Rising water temperatures are leading both fish and bacteria to expand their range to new areas. Parasites can cause lesions, which lead to infection, increasing mortality rates among fish. Special thanks to Dr. Joseph W. Love, Tidal Bass Manager with Maryland's Department of Natural Resources, for his help with this post. 100% private. We don’t spam.